Based entirely on a 1 minute 31 second ‘Breaking Out’ video on YouTube, this teaser had me convinced that this band had something about them that needed further listening to. Having seen them play a stunning live set last week in Southampton, the debut EP that is only currently available at their live shows was a must have. 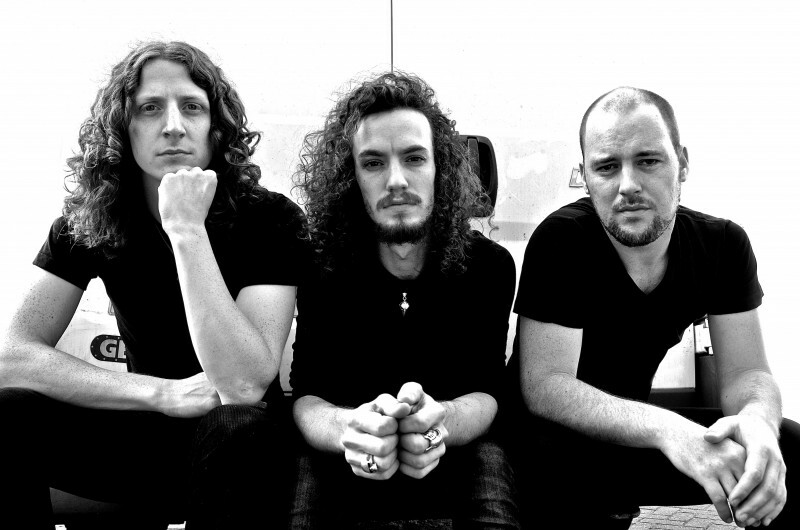 Critically acclaimed bluesman Oli Brown (Vocals, Guitar) has teamed up with Aaron Spiers (Bass, Vocals) and Kev Hickman (Drums) to form the formidable rock band RavenEye. Full of heady riffs, thumping bass, pounding drums, melodic and harmonious vocals, it’s a debut EP that blows you away from the moment you listen to it. ‘Breaking Out’ is straight into the heavy rock riffs, powerful vocals sounding epic and swirling guitars injecting a grungy sound to the song. The track has a crescendo of sound that builds up as the track goes along and has a raw and edgy feel to it, it’s a real attention grabbing song, with one of the best guitar hooks ever heard on a track. ‘Get It Started’ stomps its way through the track, the drums sounding massive from the outset, with a delicious sounding dirty riff and bass line before the vocals soar melodically through the track. Instantly addictive with an infectious chorus, a monster riff mid-section complements the song. ‘Hey Hey Yeah’ starts off just slightly stripped back with a more delicate guitar riff in the opening notes before the power of the song is unleashed. With a truly anthemic chorus that is more than just foot stomping, it grooves along with a melodic sound, with a hooking guitar riff and bass line pumping through the track to a thumping beat. ‘Run Away’ opens with an almost solo vocal before a crisp bass resonates through the entire track. A softer sounding guitar is heard through the opening verse until a wall of sound hits you with the chorus, the harmonies rising over the rhythm before the heavy riffs end the track. Final track ‘You Got It’ starts with grungy guitars, a gravelly sounding bass and hard-hitting drums. Towering vocals that rise through the track and sound impressive from the start, this final track is a riff–drenched monster of a song and ends five tracks of awesome sounding rock. This is a record that has it all, from the music, its infectious sound to the lyrics, you are not going to hear a better EP than this one. RavenEye have produced a brilliant debut that has been exciting to hear from the very first listen and with the EP due for release early in 2015, it is going to be one of the most anticipated releases of the year. If you haven’t heard of this band you soon will do, as they are going to explode onto the music scene in the coming months. The website for RavenEye is http://www.raveneyeofficial.com They can be found on Facebook http://www.facebook.com/ItsRavenEye and Twitter @ItsRavenEye so give them a follow.